Was delighted with this B&B. Great big bedroom and lovely clean ensuite. Sheila the proprietor was very friendly and helpful. She took us to the wedding reception and picked us up at the end of the night.She made us tea on our arrival and the breakfast was great. I would highly recommend this B&B. Excellent location near Cabra Castle where we were invited to a wedding. Our host was very kind, nice and helping. Hair dryer available as well as possibility to iron . Nice proposition to come and fetch us at the wedding in case we had drank too much.... Delicious full irish breakfast. We enjoyed our stay a lot. This is a lovely B and B. A real home from home. Sheila the owner made us so welcome. We were attending a wedding in cabra castle Sheila drove us there and we arranged a time for her to pick us up. This bed and breakfast is one of the best and warmest that we have stayed in. Sheila's poached eggs are the best. We will definitely return here and highly recommend it, whether you want to tour around, attend a wedding or just a night or two or more away this is the place to stay. Stayed for one night with a few friends as we had wedding at nearby Cabra Castle the next day. Really nice place, and couldn't speak highly enough of Sheila. She went out of her way to book us a table in restaurant in Kingscourt and insisted on driving us the 1km into town. Plenty going on in Kingscourt too. We really enjoyed our stay and our host was bril offered to drive us to an event we were attending in cabra castle and pick us up after. I had a lovely comfortable stay in Hollow Stream, beautiful house bedrooms very spacious, one double bed and a single bed in my room. Not far from Cabra Castle where I was at a wedding. Taxi service also available and owners very friendly, Definitely be recommending to my friends and family next time I'll be staying longer. Breakfast good to. Sheila and her family were very welcoming and accommodating hosts. 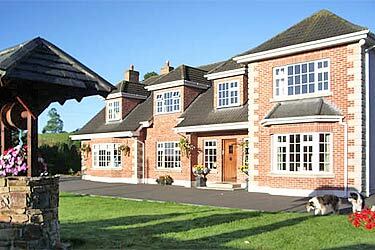 The B&B is perfectly situated for weddings at Cabra Castle. Lovely quiet location but still nearby to the town. Clean and comfortable bedroom and a very generous breakfast to set you up for the day ahead. Would definitely recommend this place. I stayed at Hollow stream B&B the night before my wedding and I found the owners were very welcoming and very helpful. I would definitely stay again if needed and have been recommending them to all my friends and family. Thank you for a pleasant and comfortable stay. Our one-night stay was short but very pleasant. We were attending a wedding nearby and Sheila couldn't have been more helpful in making our stay as convenient and enjoyable as possible. After a peaceful night's sleep, we had breakfast the following morning at a very acceptable hour given our late night. We opted for a mix of a continental and fry style breakfast and once again Sheila was the perfect host, making sure we were well fed and had all we needed before we set off for home. In short, we were made to feel incredibly welcome during our time at Hollow Stream B&B and I wouldn't hesitate in recommending it to friends and family, especially as it was very reasonably priced. We are hoping to go back again for a longer stay at some point in the future. Very pleasant stay. Sheila went out of her way to help us on several issues. Great location to the Cabra Castle. Decent rooms. Highly recommended and great value for money. Wonderful Hostess: Sheila was so helpful, informative, and full of good suggestions. She made our introduction to Ireland a much more pleasurable experience than it would have been without her. Accommodations: The room was big with good light and a private bath. Everything was immaculately clean. Breakfast and other food service was great. Sheila picked us up from our bus stop and helped us through a scheduling snag. She made us feel secure and comfortable in strange surroundings. The B&B and Sheila were one of the highlights of our trip. Can't recommend her highly enough. Rooms were very nice, clean and spacious. Beautiful house and location. Very helpful staff and they provided a great service. Would definitely stay again if ever in the area. We were made very welcome at Hollow Stream B&B, Sheila was very attentive and made sure we had everything we needed at the times to suit us. Breakfast is to be recommended-fresh, tasty and good to set us up for the day! Wonderful stay, meeting all the expectations. Wonderful experience. A most convivial hostess.Delicious breakfast and best bath towells in Ireland. Very nice house, very friendly and helpful landlady who gave me a lift to, and back from a wedding I was at a few miles down the road. Unfortunately I had to leave very early and didn't get to taste the breakfast but I was shown where the breakfast room was and just helped myself to cereal and fruit etc. Would definitely stay again and would recommend to friends staying in kingscourt.